Blockchain is becoming one of the most exciting technologies that is disrupting business and industries alike. While currently in the beginning stages of deploying this technology, understanding the available platforms, hosting, associated technologies, languages and security is paramount to the success of any POC or enterprise deployment. Corporate Executives, decision makers, stakeholders and developers seeking to align their efforts with the technology need to be aware of the various aspects related to this technology and development. Please note: some of the content may appear repeating themselves, however, they are designed to re-enforce learning. 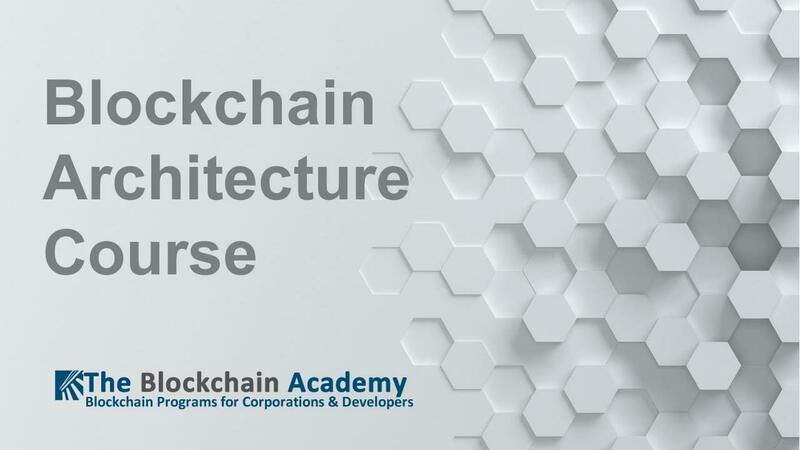 The Blockchain Academy reserves the right to cancel the Blockchain Architecture course at least 7-days in advance via Email if we have not received seven or more confirmed applications. If the Blockchain Architecture is canceled by The Blockchain Academy then full refunds will be made. This means that the participant is aware that the event is not guaranteed to take place at the time of reservation. Implementation of any enterprise project is always challenging, and pitfalls seem to be everywhere. Here are a few Security and Implementation issues that should be considered with any large-scale development. We need to think along the following lines: First, the problem we're solving, secondly, the people / entities / stakeholders that we're solving the problem for, thirdly, what devices would they use for the envisioned blockchain, fourth, what blockchain architectural options do we have. 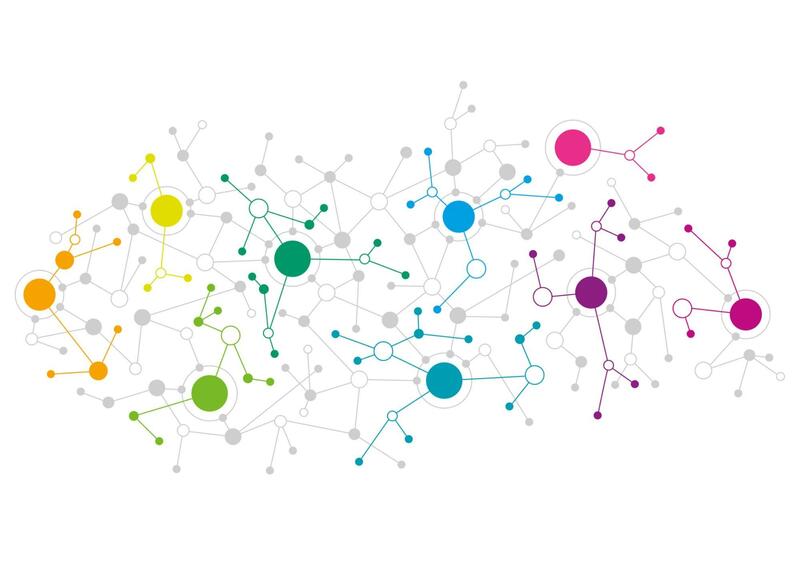 Thus, our thoughts of blockchain architecture would form the following thread: problem, stakeholders, blockchain type and platform, nodes, blocks, transactions and security. In addition, be aware of blockchain “protocols”. Data storage such as Factom, cryptocurrency such as Bitcoin, Smart Contracts such as Ethereum. When we talk about architecture we need to keep two things in mind, that is, business architecture as well as technical architecture. Many times, when we refer to architecture, we simply mean technical architecture. However, the success of a project depends on both of them. From arc hitectual point of view, we need to answer the following question: would the identified business problem that leverages the blockchain technology require multiple data sources or a single blockchain data? before we start to design a blockchain architecture. The two vital parts of a blockchain is to construct a valid blockchain and use it to fulfill business or other types of needs. High volume transaction blockchains and many other blockchains such as Bitcoin use this model. This model pack several or many transactions into one block with the structure of [Header] and [Body]. For a simple model, one block contains one transaction. It is much easier to build and it could be more efficient. Discussion: is there any other block structure differ from the above two models? As any other software platform, identity management, data privacy and protection and information security are of paramount importance. Like the construction of buildings, for blockchain we need to have structures. For it to function as a network it needs to have nodes. Simply put, blocks make the structure, transactions are the “meat and potato” of blocks, the linked blocks make a chain (a ledger), of which each node has an identical copy, thus, ensuring data integrity and immutability. Read, Write: full read or partial read? Full write or partial write? A key differentiator of blockchain from traditional databases is that data stored on a blockchain is tamper-resistant, that is, it's extremely difficult to hack into a blockchain to tamper its data. And the reason is that blockchain technology uses cryptography to ensure data and relationship. This section would be light. A hybrid blockchain is mostly about having the permissioned part for blockchain construction, that is, control the data input into the blockchain, however, use the open model for sharing/dissemination of data / information gathered and accumulated on the blockchain. This type of blockchain would be most fitting for government, state and local agencies. The mechanism for its blockchain architectural implementation would be similar to other types of blockchains, however, the difference lies in its technical workflow. Since technical mechanisms for blockchain architecture have been presented in the above sections they would not be repeated for this section. What we need to be mindful about are such blockchain size and future integration with relevant information resources.